When Christmas Fayres come, they come in Legions. And today this is particularly true, being that the Royal British Legion is playing host to their Christmas Fayre from 11am this morning. 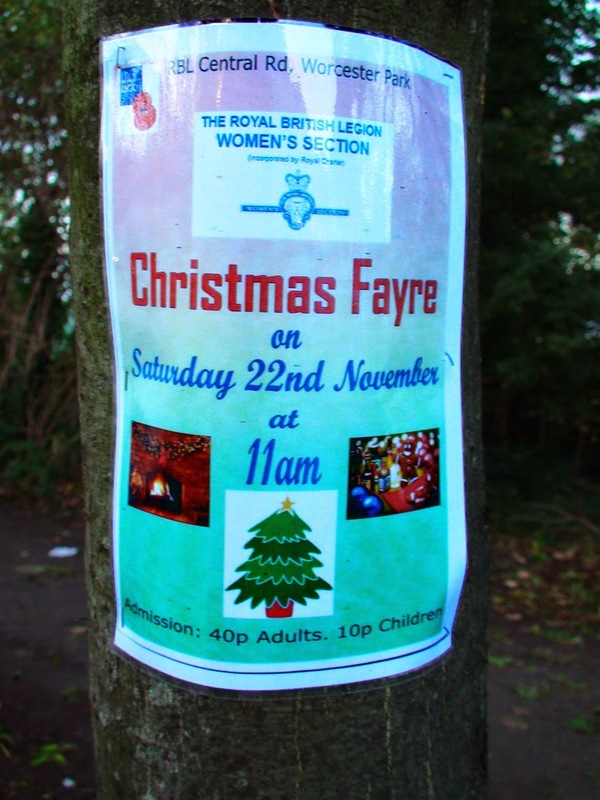 This actual Fayre is being put on by the RBL Women's section and promises to be a fun and festive a-fayre (see what I did there...) with gift stalls, books, jigsaw puzzles, cakes, bric-a-brac, gift-wrappings and two raffles including a tombola Christmas Hamper prize. The doors will be thrown open to the public at 11am and all money raised will be going to the good works supported by the Legion. The women's section is an entirely separate entity to the overall Legion membership. Women who are members of the Legion are not automatically part of the Women's section. Doreen, the chair of the Women's Section told the blog that although they are classed as a small club, they have been very lucky and done very well, often winning cups at county level for various things including fundraising. One year (around 10 years ago) they won several cups at national level. These were presented to Doreen by Princess Anne who is the President of the national Women's Section. It used to be the Queen Mother. So go along and support this quietly wonderful institution and the past and present servicemen and their families whose lives are ultimately improved by the RBL.